THOUSANDS of people took to the streets of the Spanish capital today to protest against what they claimed was animal cruelty in bullfighting. The demonstration was backed by some 17 animal rights groups who said around 40,000 had turned out in Madrid to call for an end to the sport. Those attending rallied under the slogan: ‘Bullfighting is Violence’. 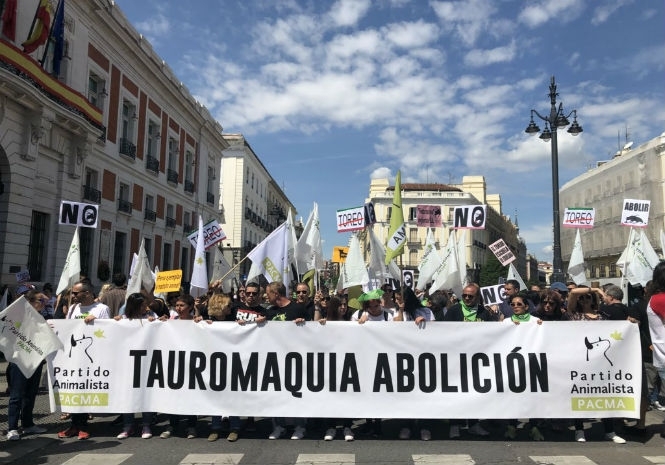 Laura Gonzalo, a spokesperson for the Tauromaquia Es Violencia umbrella group organising the march, said bullfighting had no place in the 21st century. “We are demonstrating because society wants to change. We demand courage from politicians, we want them to start listening to us and to take steps to abolish bullfighting,” she said. The march began at Madrid’s Puerta del Sol, where protestors threw red powder in the air to symbolise the blood of bulls who die in the sport. An estimated 20,000 bulls died last year as a result of bullfights, according to reports. The demonstrators reportedly had the support of Spanish celebrities such as the actor Emma Ozores, the singer Mari de Chambao and the writer and journalist Pilar Eyre. Juan Carlos Monedero, the co-founder of the far left Podemos party, also voiced his support and said bullfighting could no longer be considered a part of Spanish culture. “We do not tolerate someone who mistreats a dog, why do we tolerate someone mistreating a bull?” he said. 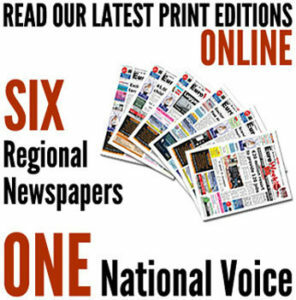 The issue of bullfighting in Spain has become increasingly divisive over the years. Those in favour of it argue it is a part of Spanish culture and a way of life for those involved. Those against claim the sport is nothing more than cruelty towards defenceless animals.